Therapy work looks to be exciting | Go. Do. Be Dog. I mean it Micron, try not to embarrass me . . . EEP! Micron spies his friend, Bubba’s Mom, from across the parking lot and rushes to greet her. I follow him, mostly because I’m still holding the leash. My goofy, silly, glorious dog never met a person he didn’t want to lick, but he does have his favorites. And Bubba’s Mom is right there at the top. Not only our friend, but Bubba’s Mom was also one of our instructors over the past ten weeks of training. We cross the parking lot together to walk into the event with all the honor and dignity this occasion warrants. Yep, he’s excited to be here tonight. Think about that a sec when you’ve said that to someone in a tizzy fit. Or been the recipient of the ersatz advice. Has it ever worked? Right, the answer is no. And it didn’t work this time either. So as soon as I can stuff my hand in my pocket, I grab a dog biscuit and wave it in front of Micron’s nose like smelling salt. Whew, he’s back. Oh, Food Lady, he says, I didn’t know you were here. We make it to our seat and Micron flings himself to the floor. Wow, he says suddenly I’m so exhausted. How ’bout you? I begin to respond in kind, but goober dog sees another friend from class and here we go again. In class, he was noted as “engaging.” That’s such a nice word. It’s so much more becoming of the big guy than when I use the term “the squirrel factor” for his love-of-life behavior. Each pet’s brief bio was shared with all in attendance. Our task was to write a two to three sentence to describe our partner. Was this a such a challenge for everyone else, I wonder. How do I describe Micron in a mere three sentences? A moment pondering, then came up with this. 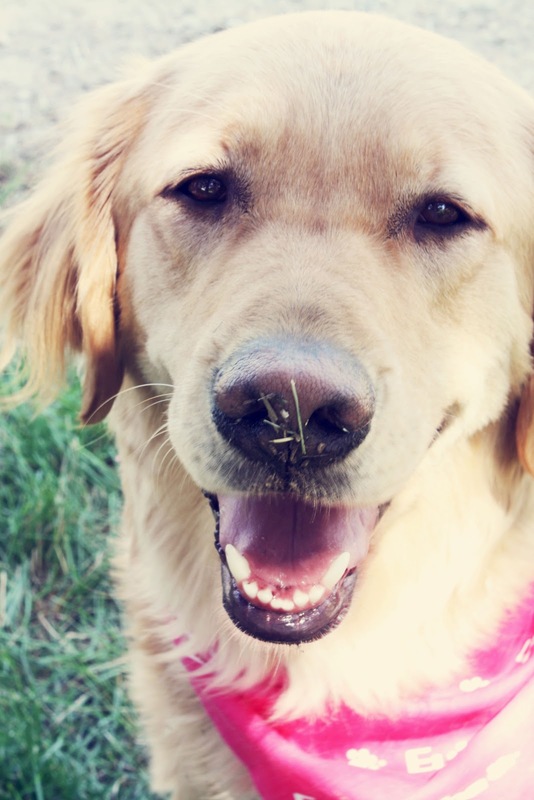 The mighty Micron is a lab/golden cross; a lover of life and licker of people. 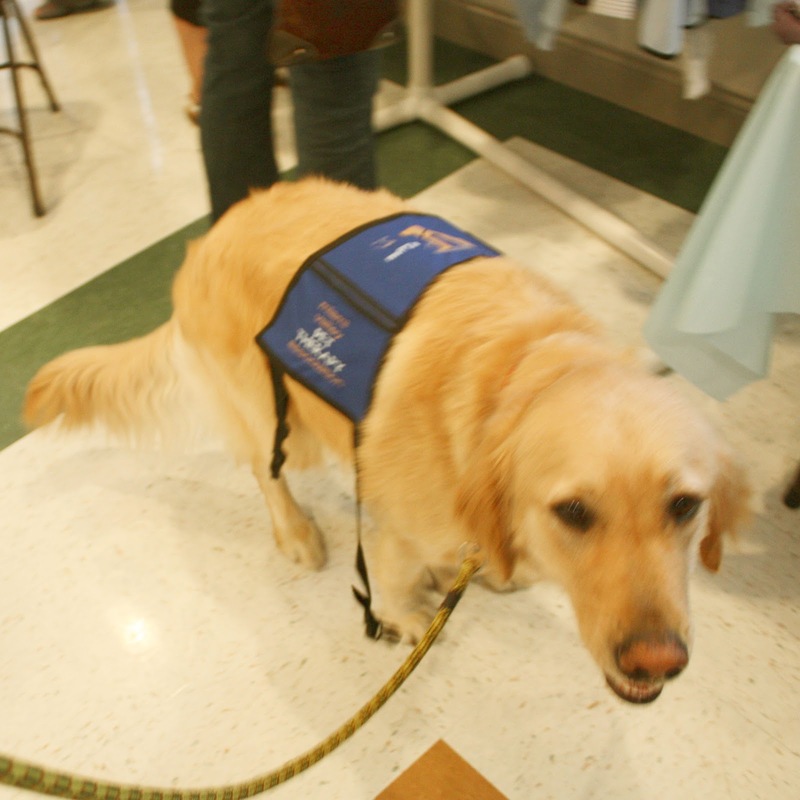 Micron has been the go-to dog at P&G Pet Care for post-meeting de-stressing. He’s completely jazzed to be graduating and is looking forward to expanding his client base outside of the office. We send off our congratulations as well, to our classmates Harley, Kaylee, Suzy, Tully and their partners. And a big Way-to-Go to new instructor, Janet, and evaluators Lisa and Angela. 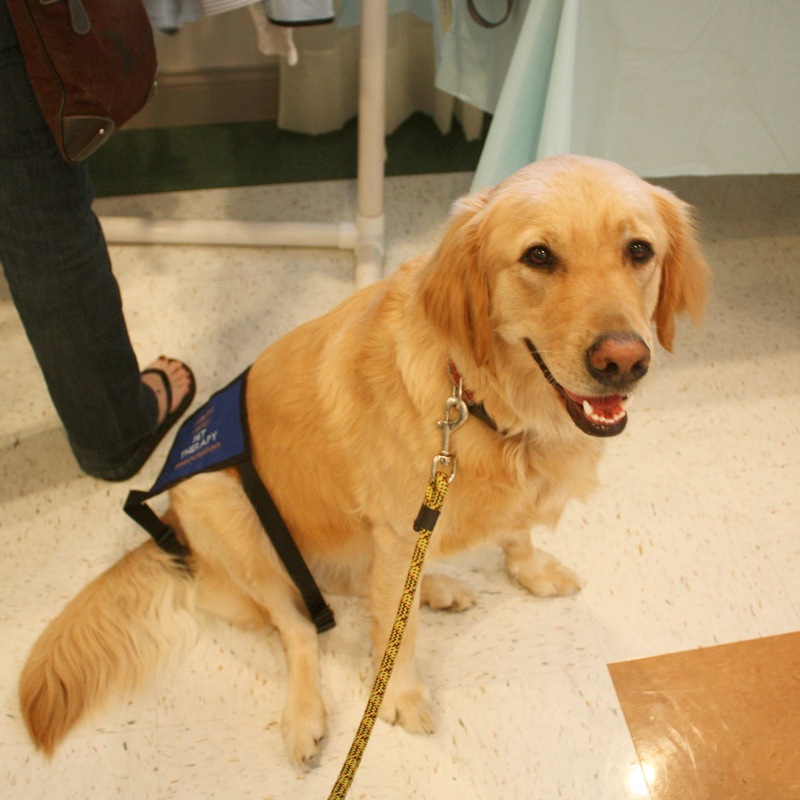 Thanks for being there for us every week to help develop us into Therapy Teams. And that Micron and I gave you some solid challenges to hone your skills upon. Well, you’re welcome. What’s next, you ask. Ah, that’s a good question. We’ll be meeting with our esteemed mentor soon to find out. New adventures coming up, the stuff of life. Um. That ain’t right, Micron. 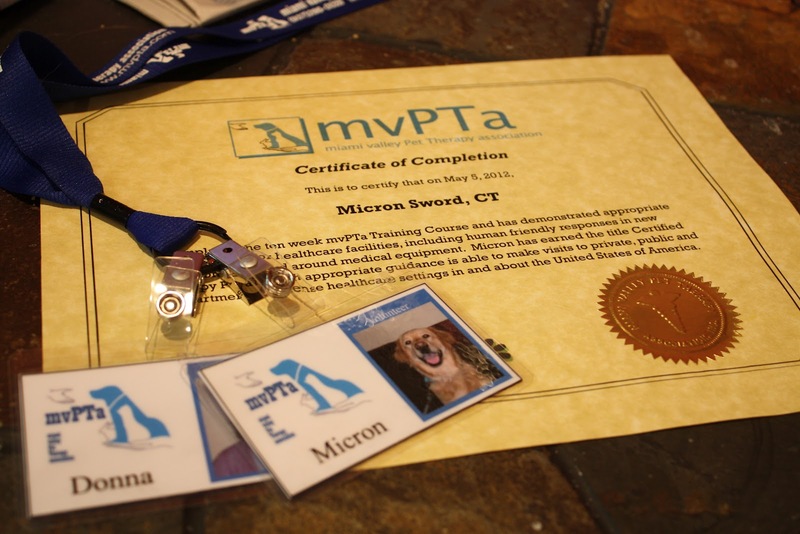 Posted in Micron, mvPTa, therapy dogs. Bookmark the permalink.